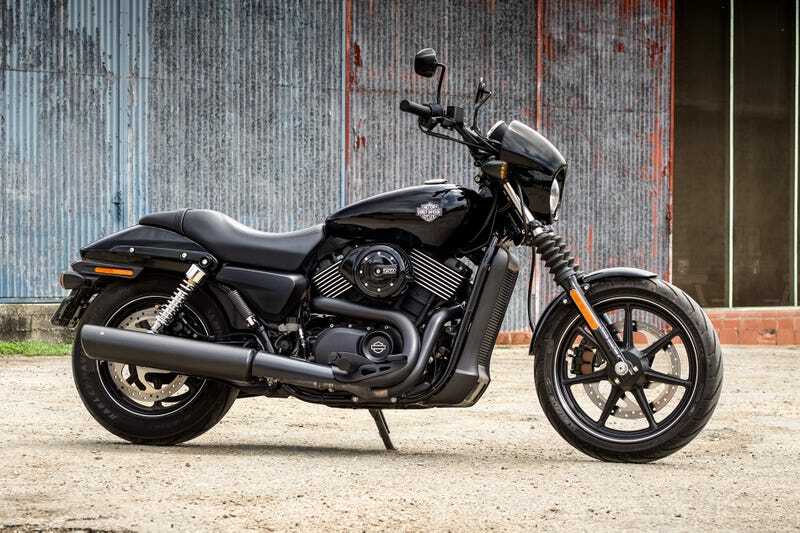 The Harley-Davidson Street 750, a bike created to bring new riders into HD’s aging ownership group, just failed a very basic braking test conducted by a major riding magazine. The magnitude of this braking failure could call into question the safety of every Street 750 on the road. This news comes to us Germany’s Motorrad, Europe’s largest, most well-regarded and well-informed motorcycle magazine. The were trying to compare the Street 750 with the Kawasaki Vulcan S and Honda CTX 700 for their entry level cruiser comparison test when it came time to do a 100-0 km/h (60-0 mph) test to evaluate the brakes. The Harley did fine on the first test but, even after being given some time to cool, showed significant fading during the second test. Then, on the third test, the brakes failed completely. Just so we’re clear, by “failed completely,” I mean they wouldn’t grab, possibly warped, smoked, and forced the rider to brake using the rear brake and engine braking - on just the third test. The first measurement was due to a very high hand forces, pasty tactile and lack ABS tricky, but experienced testers paws brought into existence very respectable 9.6 m / s average delay. Already in the second measurement, however (after turning operation and renewed acceleration and thus some cooling) showed significant fading. In the third attempt then the brakes failed the Harley-Davidson Street 750 completely. In case you don’t know, a motorcycle’s brakes operate individually (only a select few of the newest latest and greatest have linked braking systems) and the front brake provides the bulk (like 80 percent) of the stopping power. This would be one thing if someone racing a Street 750 had their brakes fail, but three 60-0 tests are completely within the limit of normal riding. Imagine riding down a mountain pass or just having a panic braking situation or two on a hot day. I reached out to the Motor Company for comment, and they said that the Street 750 underwent braking tests in accordance with European Commission’s guidelines and that it passed without any noted issues. They also said that the bike used in the Motorrad test was found free from defects. Hopefully the new additions have solved the issue, but it’s definitely something we think you need to be aware of if you’re looking at making a purchase in this category soon. For those who are, the CTX 700 won Motorrad’s comparison, and I think the Vulcan S is a wonderful little cruiser. After all of last weeks Harley and cruiser talk, I plan on getting time with some of their bikes in the next few weeks. To their credit, HD hasn’t tried to skew any of the information I presented to them and they’ve been very prompt in responding to my questions. They’ve made the very fair request that I get on some bikes and see for myself, so that’s exactly what I’m going to do. Any Harley-Davidson Street 750 owners out there that want to chime in on their experiences?